Most people never really get a chance to experience the incredible array of fauna that the Earth has to offer beyond visiting one’s local zoo or watching the Discovery Channel. Plenty go their entire lives without any knowledge of the kind of bizarre and fantastic creatures that grace our oceans and seas. Below is but a small sampling of the kind of beauty that the wondrous world beneath our waves has to offer in the way of vertebrates and invertebrates. 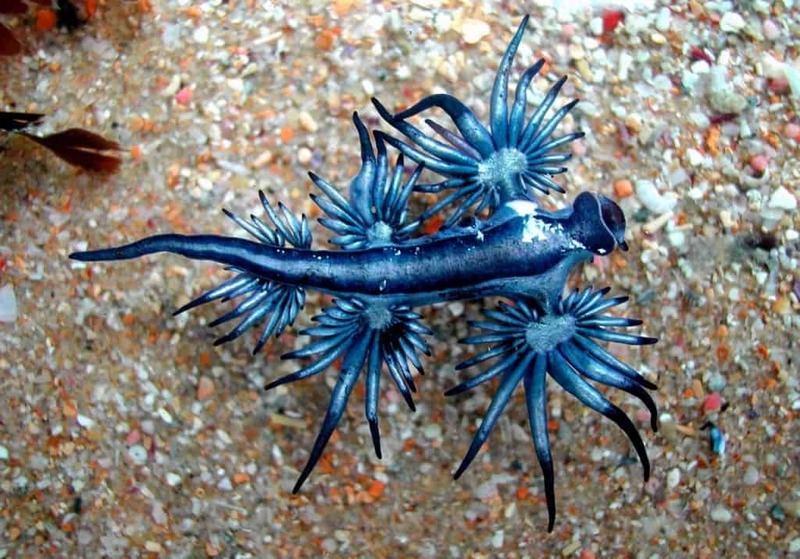 Aptly bearing the common name of Blue Dragon, this sea slug is but one example of the array of magically beautiful invertebrates that inhabit our oceans. Most often found in the waters off the coast of South Africa, divers lucky enough to spot these lovely little guys should stay wary of its powerful sting. Their name might make you dismiss them as uninteresting, but this fish’s name has nothing to do with its nature. 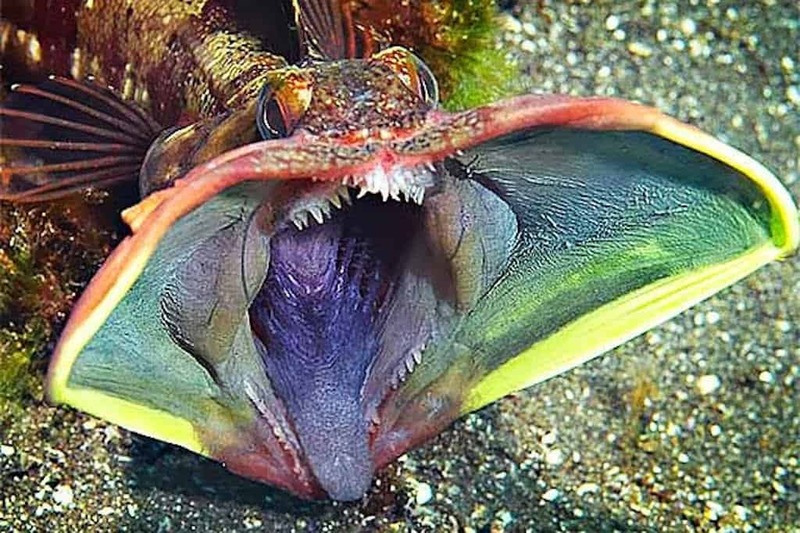 Found on the American west coast, fringeheads can grow up to a foot in length and tend to be very vicious. 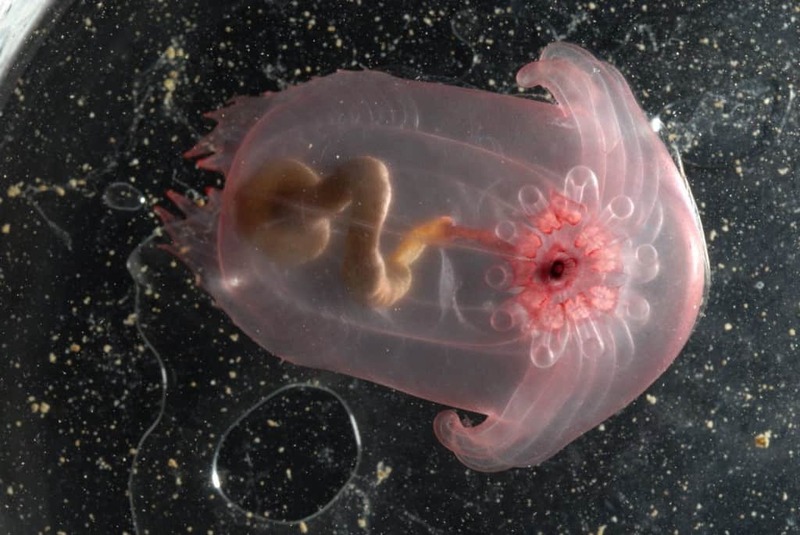 Despite its rather literal transparency, you might be surprised to learn that this creature is actually deep sea cucumber. The red opening is its mouth, which is surrounded by tentacles that scoop up the mud that makes up its diet. The watery depths of our blue planet are home to some of the most incredible creatures in known existence with new species being discovered a constant basis. This gorgeous candelabra-esque sea-dweller may look extremely delicate, but those spines are in fact very dangerous to curious crustaceans that very often become a delicious meal for the Harp Sponge. 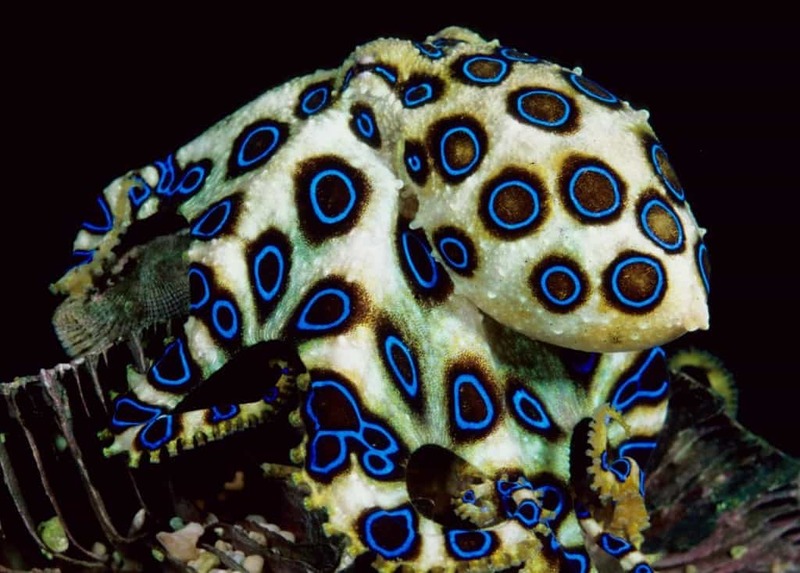 This vibrantly colored cephalopod is one of the most gorgeous creatures one can find in a tropical ocean. 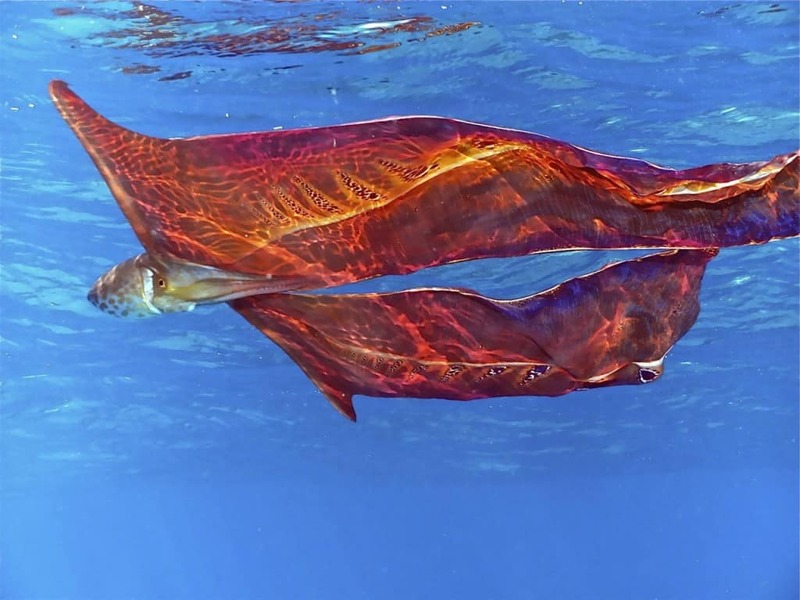 One of the most interesting facts about the Blanket Octopus is that it is immune to the venom of the Portuguese Man O’ War. Contrary to what ideas its name might initially stir up, this is actually a sea dweller and not rather a parasite that feeds on fir trees. The moniker comes from the feathery, multi-colored crowns that come off of its back. These flowing and wispy creatures can be found in the Indian Ocean and the waters up to Japan. Although they spend most of their time living on rocks in shallow water, their fringes can help them to swim. 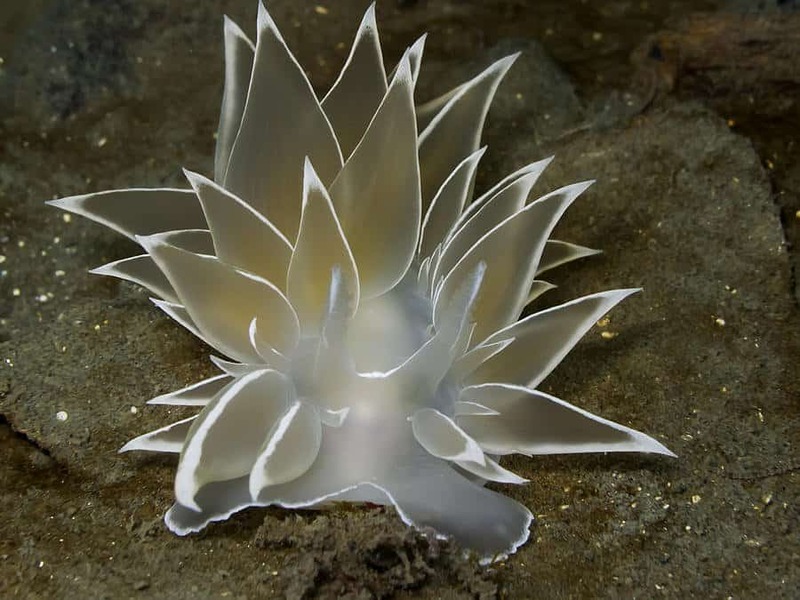 This translucent creature is a nudibranch which is a family of soft-bodied mollusks. 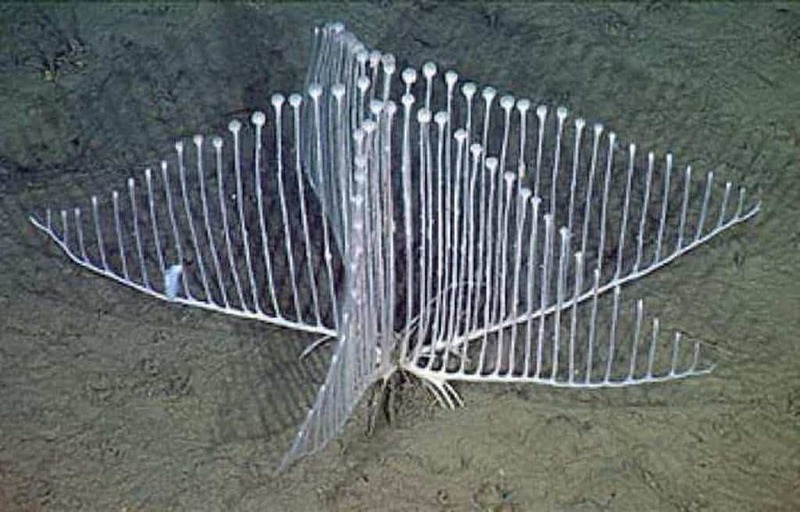 This particular species/genus can be seen in the subtropical waters of the Pacific Ocean. 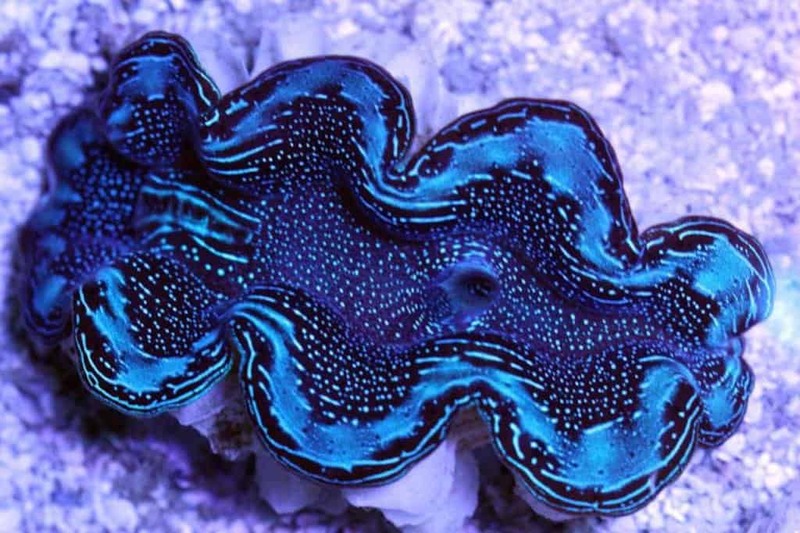 Also referred to the Scale Clam, this species of mollusk occurs in a variety of colors although blue is the rarest. 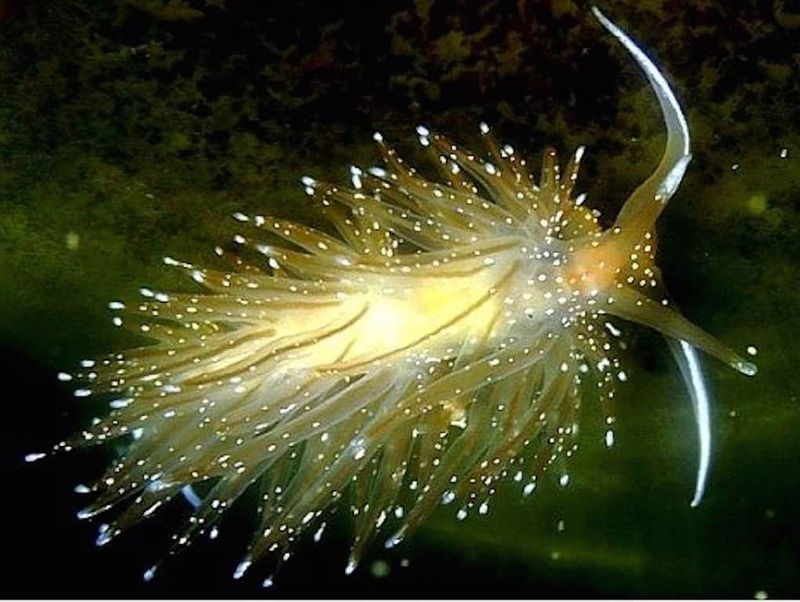 This sea creature is so admired, that lots of people enjoy them as an addition to their home saltwater fish tanks. These brilliantly-colored little fish are most often found in groups and are completely non-aggressive. 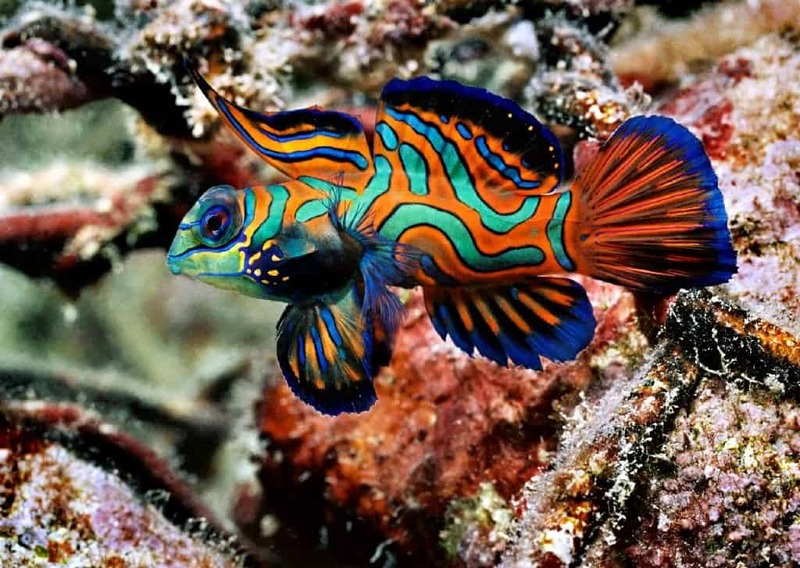 Obviously never able to be confused with any other kind of fish, this fish, also called the Mandarin Dragonet, calls the waters from the Philippines to Australia its home. 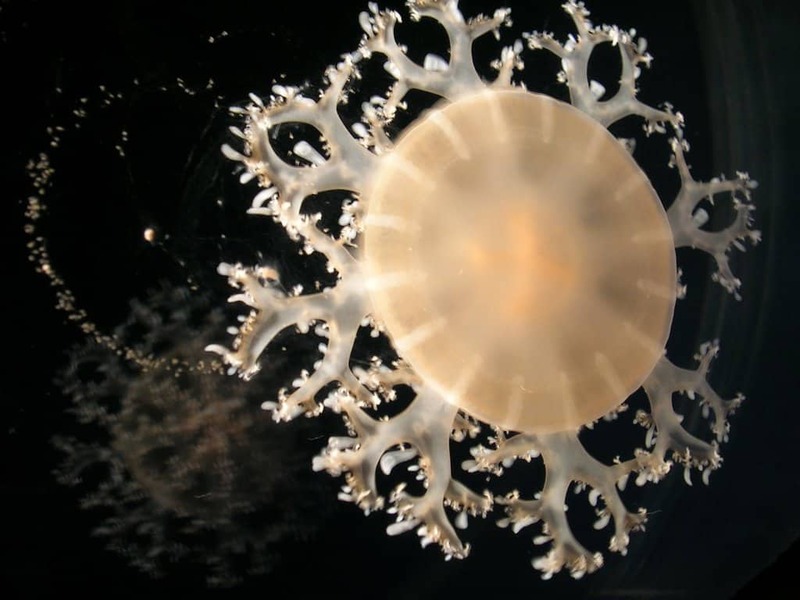 As this invertebrate’s common name is used for a whole family of jellyfish, it’s sometimes easier to call this creature by its scientific name Cephea cephea or the alternate name Cauliflower Jellyfish. Beauty aside, this jelly is also targeted by fisheries as it is eaten as a delicacy in many countries. This little animal, measuring an average of an inch long, is commonly found on reef algae in tide pools during winter around Japan. 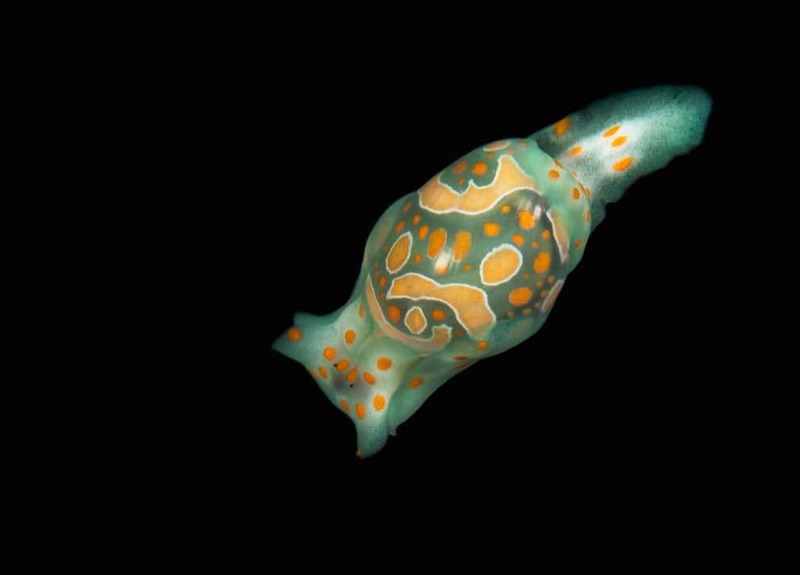 Though it is a herbivorous creature, the Cymbal Bubble Snail secretes a metabolite that acts as a deterrent toward more carnivorous sea dwellers. 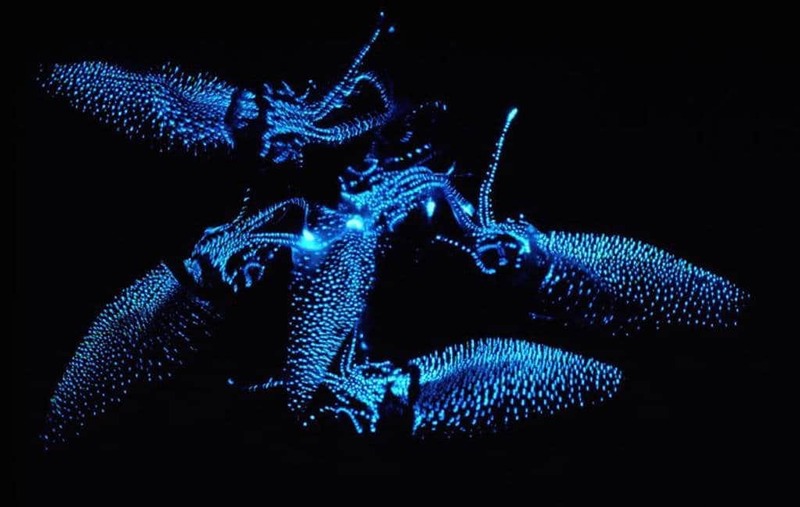 Bioluminescent sea creatures are far more common than one might think, but there are few that shine as brilliantly. Active predators that use their light to attract their prey, their light is so incredible that tourists take sight seeing boats out to watch them be caught in mass by fisheries at night. 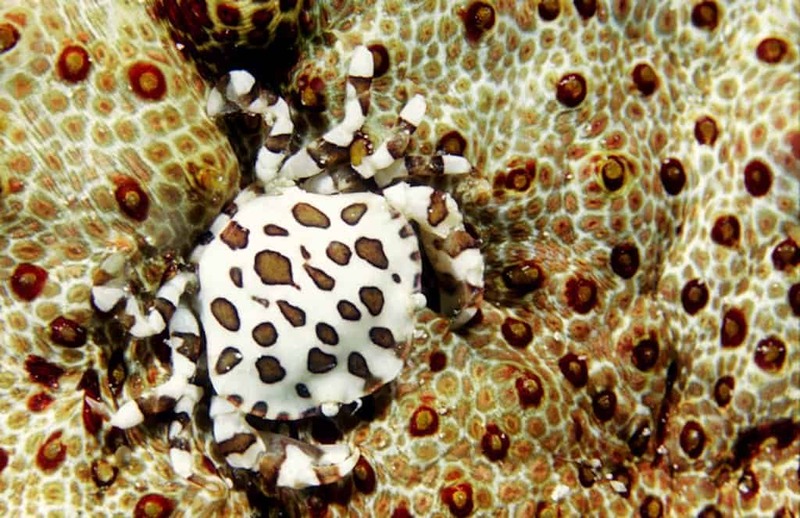 These magnificent spotted crustacean never grows to be more than 1.5 inches long. 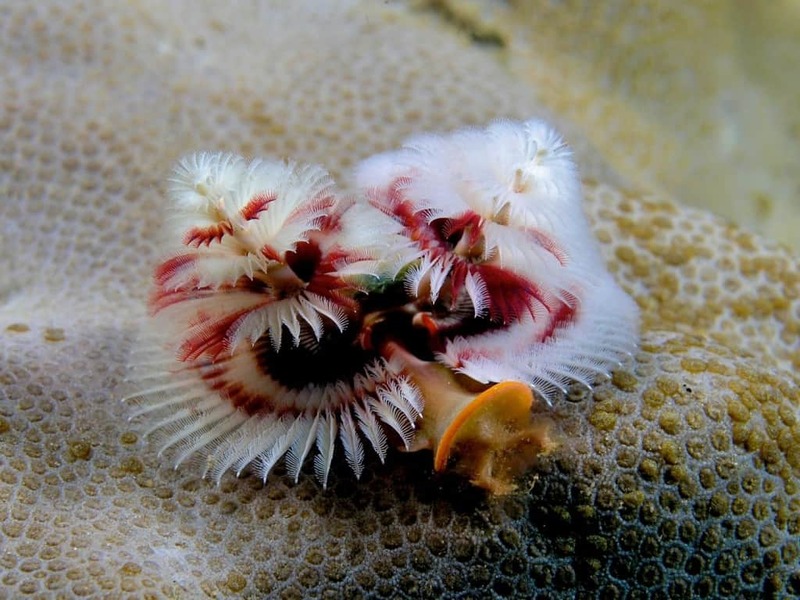 This particular species has a commensalistic relationship (where one organism benefits from the other without harm to either) with some types of sea cucumbers, the little crabs are sometimes even found in the sea cucumber’s stomach. 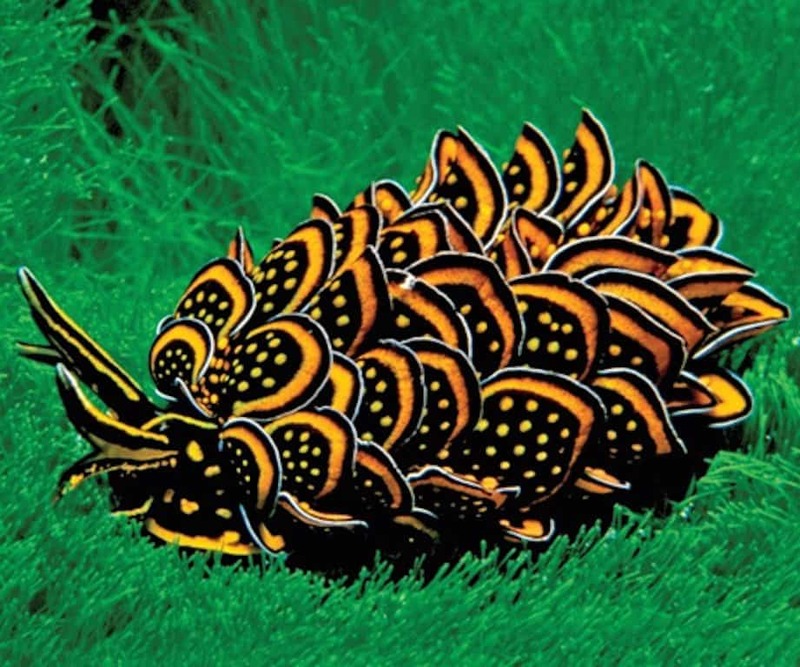 Like so many other varieties of slugs, this particular species is often overlooked by divers because of its diminutive size. 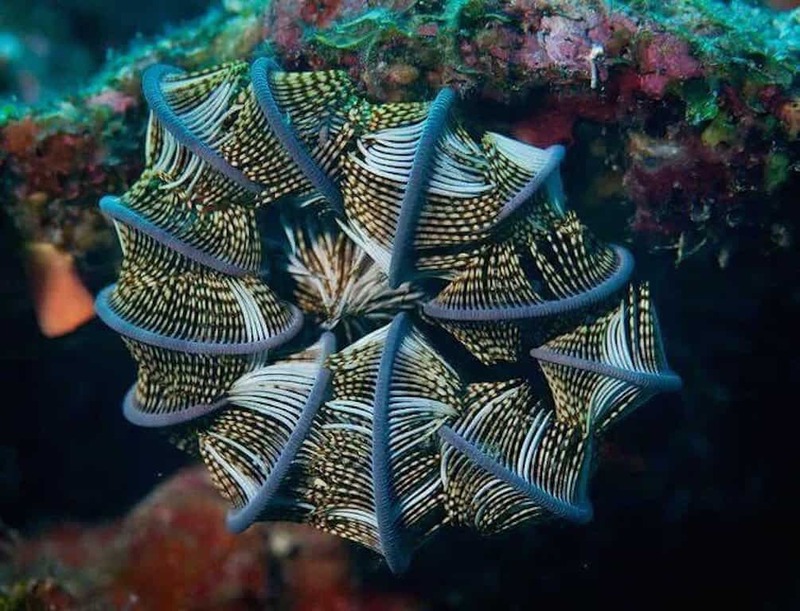 As the name suggests, it uses a very sharp tongue-like organ called a radula for feeding, sucking the sap out of seaweed. 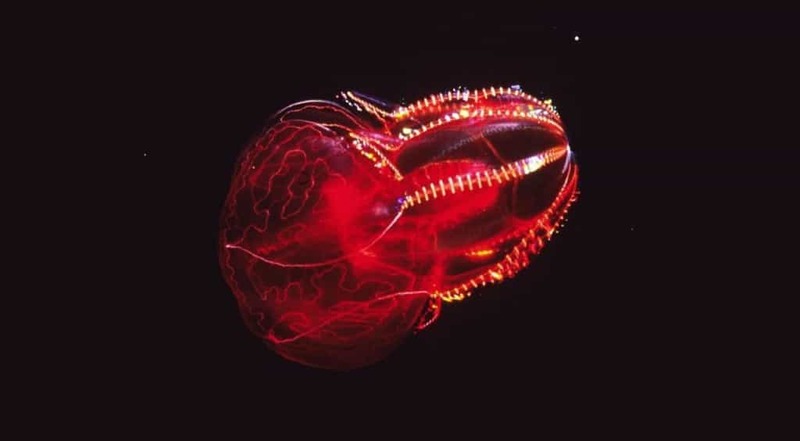 The Bloodybelly, named for its distinctive red stomach, is a type of comb jelly which comes in a variety of body types and colors. 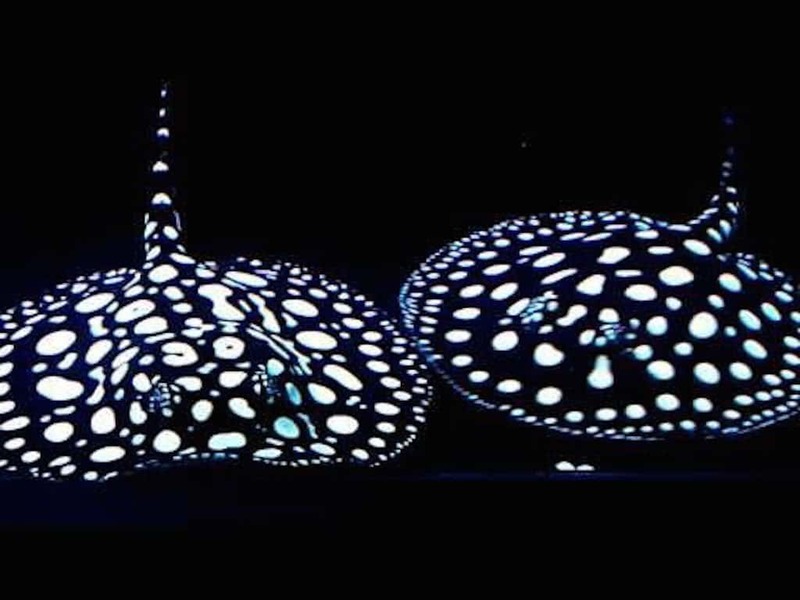 Though it appears bioluminescent, the glow it gives off is from light diffracting off of its cilia, which are what helps it move through the water. The octopus is a notorious species/genus of mollusk that lives in the waters around South Asia and Australia. Despite being very docile creatures, the venom delivered in a single bite is very dangerous and sometimes even deadly. It’s easy to see that this beautiful creature gets its name from its pure and gorgeous coloring. Although the feather-like appendages that cover its body might appear superficial or perhaps defensive, the tips are actually gills. Found mostly living in sand and mudbanks, this species of stingray calls the Pingu River Basin of Brazil its home. They spend their days hiding underneath the sand and wait until night to hunt for food. 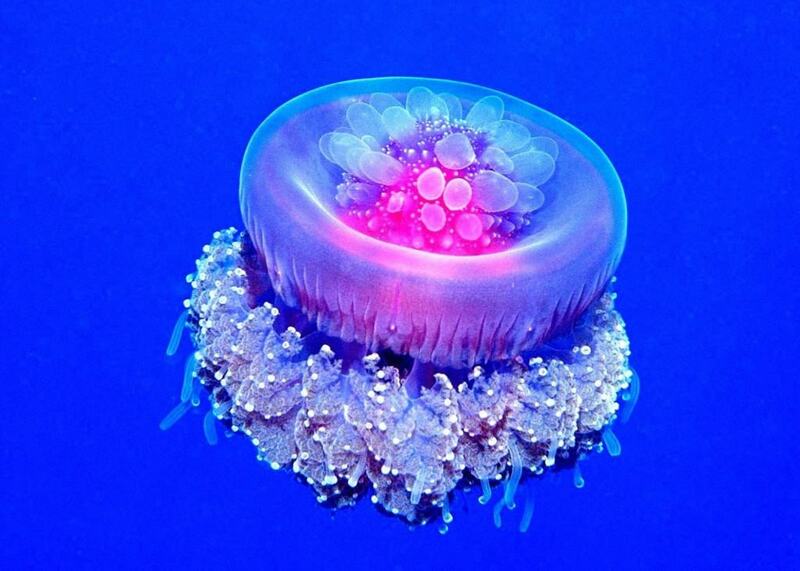 This beautiful creature belongs to the true jellyfish genus Cassiopea or upside-down jellyfish. Though pictured is a white Snowflake Jelly, they can also be blue, green, and brown.